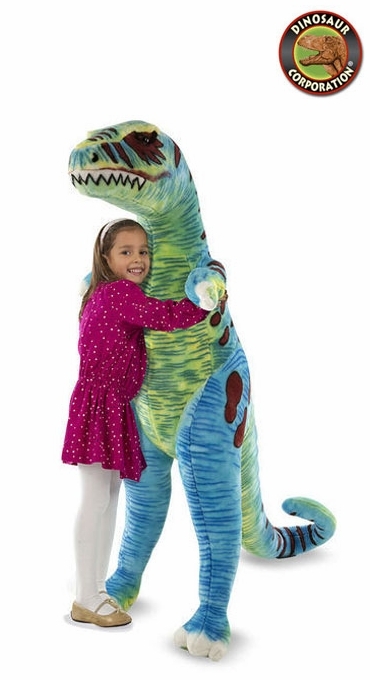 The giant T-Rex dinosaur plush toy will rule any room! 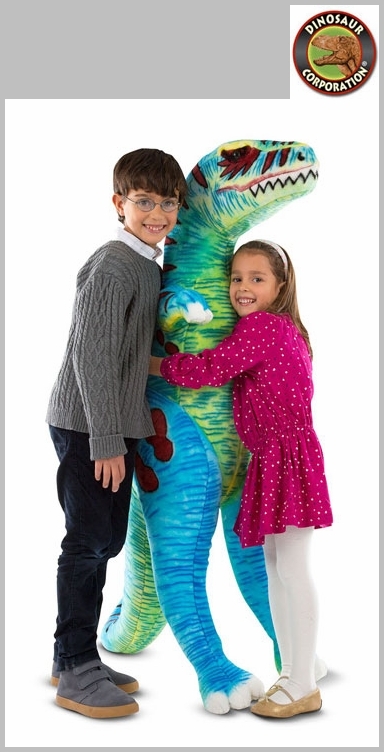 This dynamic dinosaur makes a huge impression; the gigantic, multi-colored plush T-Rex stands more than four feet tall and is sure to be the centerpiece of any room, inspiring endless creativity. It's soft to the touch dinosaur toy with a sturdy wire frame construction, long tail, and wide feet to help it to stand tall, making it perfect as a decorative piece for any room, as well as a catalyst for imaginary adventures! * Size: 51 inch tall x 32" x 14.5"